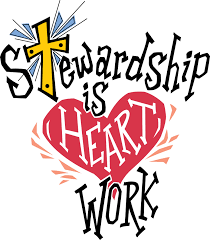 In our world of increasing electronic financial transactions, we are pleased to offer you this opportunity to donate online and thereby support St. Paul Lutheran Church and its mission in Austin, across our region, and around the world. For more about both the ideas behind donating to the church and about the mission work we do, see our Mission Work page. To support us please click on DONATE NOW and follow the on-screen prompts. THANK YOU for supporting St. Paul Church. Yes. The site is being hosted by Vanco Services, LLC, a financial technology services company specializing in secure electronic payment solutions. Vanco’s web payment pages meet the highest security standards in the industry. Vanco Services treats all information that it processes with the highest ethical standards and an unwavering commitment to confidentiality. A confirmation page appears after a payment is submitted. Also, you will be required to enter an email address, so that you will receive an emailed payment confirmation. Will this donation be shown on my St Paul annual statement? Yes. If you are a St Paul member, please enter your offering envelope number to assist recording your donation for your annual donation report. May I make a split donation? May I specify my donation? If you want to donate to a specific mission or a specific Christian concern, then enter the amount and in the space to the right enter the specific information. You may identify the recipient in the space to right of the amount. May I donate from my checking account or use my credit card? You may make your donation from your checking or savings account or charge your credit or debit card. If you choose your credit or debit card, then your donation will be reduced by a fee ranging from $2.50-5.00 depending on the card that you use. May I set up recurring donations as well as one-time donations? Yes. 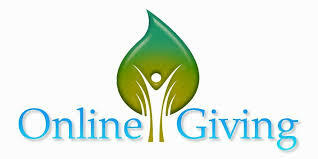 Your online donation can be set up as either a one-time donation or you may schedule weekly or monthly donations. A calendar is provided to help you with this. May I make this donation in honor or memory of a person? Yes. You may choose to make your donation in honor or in memory of a person, and/or a life milestone. If you would like for us to notify someone of your donation, please provide the name and address of the person or family. Are transactions processed on holidays? Electronic transfers (ACH transactions) are processed on business days only, which are defined as calendar days other than a Saturday, Sunday or Federal Holiday. Are there limitations for making changes to scheduled transactions? Electronic transfers (ACH transactions) – Changes must be entered no later than 3:00 pm Central Time two business days prior to the settlement date. Credit Card transactions – Changes must be entered no later than Midnight Central Time one business day prior to the settlement date. Please contact St. Paul’s church office (512-472-8301) with your questions. We will update FAQs to this page as we receive them.